Local emo trio Pocket are back with a new EP called 1616. The five songs follow last summer’s Full Bloom EP, on which we got to know the band of English teachers as torchbearers of the 90s tradition in a fully-realized and well-executed manner. The Quarterly Project recently released their Fall compilation, featuring local artists like Pocket, Cruiser, These Polar Opposites, and Molly Rhythm. The bands cover every spectrum of the Philly music scene, from rock n roll to emo, and you can’t help but be impressed. Not only does this project support the diversity of Philly’s music scene, but it works to help young Philadelphians develop the skills to be musicians. The proceeds from this compilation album (and the concert) go to local nonprofit Rock to the Future, which provides free music education to Philadelphia youth. 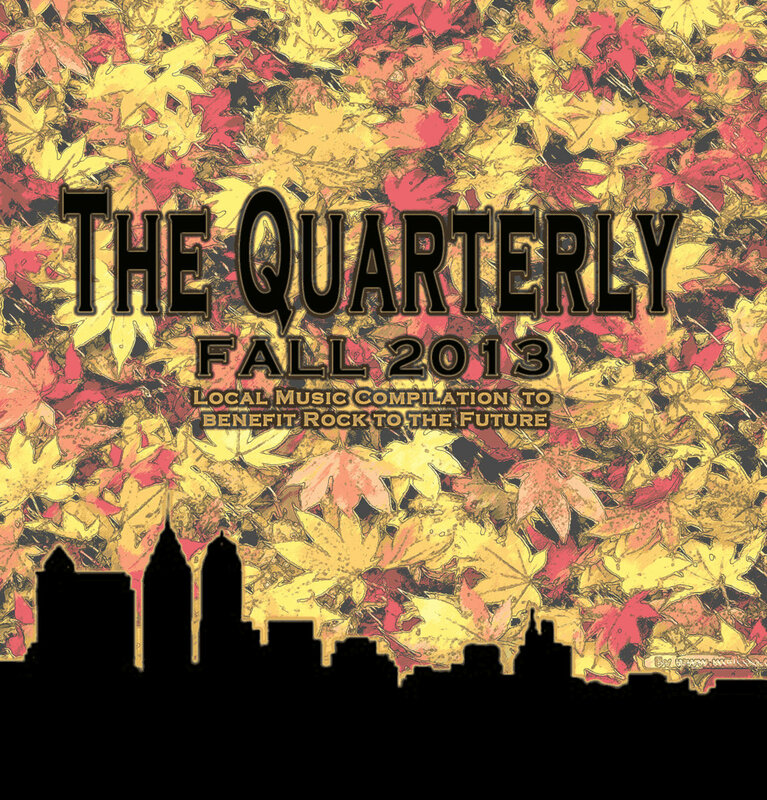 On Thursday November 21, The Quarterly will hold their fall listening party and concert at The Fire. The eclectic mix of Philadelphia musicians is sure to put on a good show, with music ranging from Family Vacation‘s nostalgic indie rock to Brian Fitzy‘s improvisational electronic funk. Also expect raw sets from the ambient yet powerful Last Full Measure and emo rockers When Ships Collide. Each of these bands have released killer new material in the past year, so make sure to check them out even if you cannot make it to the show. Find tickets and information to the listening party and concert here. Stream the fall compilation below and pick it up on Bandcamp. Tonight’s Concert Picks: Saintseneca at Johnny Brenda’s, Pocket at PhilaMOCA, Over the Rhine at World Cafe Live, and more. Rustic indie quartet Saintseneca kicks off its fall tour in Philly tonight at Johnny Brenda’s. Inspired by childhoods spent in the Appalachia region of central, Ohio, singer/songwriter Zac Little brings that same starry-night folk element to life through a mix of violin-mandolin-electric guitar-dulcimer-synths that you just can’t get anywhere else. Stop by to say hello, and be sure to pick up their new 7″ Uppercutter at the merch table. Dante Bucci kicked off WXPN’s lunchtime busker series on Wednesday and The Key revisited the local musician’s 2008 effort Reminiscence in advance of his set at The Porch at 30th Street Station. Bucci will perform at the Tin Angel on May 1st; tickets and information can be found here. Stream the EP below or download it at Bandcamp. Local Philly four-piece Pocket just put up their debut EP on Friday and it is four songs’ worth of emo that reminds me of bands I grew up listening to, but also has that “new emo” sound. Reminiscent of Knapsack and Outsmarting Simon, with a little bit of Benton Falls thrown in there, it also sounds refreshingly current – fans of Joie De Vivre are probably gonna be into this pretty hard. What I really enjoyed about this band is their use of driving distortion. The “twinkle” style of emo has taken over the genre lately, and although it is a great new angle, it becomes samey after a while. It’s become difficult to separate the bands that are doing something new from the bands who are just following the trend. I don’t have that much room to complain because there are a lot of twinkle bands I love, not to mention I play the style myself, but it’s awesome to see bands like Pocket who don’t twinkle around, and tap into the more classic emo sound. And although the EP is short, within its four songs are an array of emotionality, as well as super pretty (and distorted) melodies. They have a real Outsmarting Simon thing going for them which is a huge plus, and to any who love the other bands I mentioned, you will most likely be into this EP. Not to mention the songs are well recorded. Which is another plus. For those who are looking to listen to a band that makes them feel a little nostalgic because it reminds you of what got you into the type of music you’re into now, you should listen to Pocket. For those who are looking for something new to jam to, you should listen to Pocket. Below is the song “Pool Party” off their new self-titled EP Pocket.